As the end-of-support deadline for SQL Server 2005 draws near (April 12, 2016), you are probably starting to think about your upgrade strategy. Upgrading SQL Server is a multistage effort that takes time. Planning your SQL Server upgrade early will help you save money and prevent unnecessary business interruptions. In our previous two posts, we discussed the importance of discovering what you’re running in your IT environment and then finding ways to customize your upgrade by choosing target destinations for each of your applications and workloads — on-premises servers, virtual machines or the cloud. Now, we’ll walk you through some common upgrade strategies and offer ways that you can approach the upgrade process. By planning thoughtfully, your upgrade will be smoother, less complicated and more cost-effective. In-place. An in-place upgrade replaces an existing instance of SQL Server 2005 by installing SQL Server 2014 over it and using the same hardware and platform. This strategy is great for when you aren’t worried about a little downtime and would prefer not to have to re-create the database configuration. While this might be the most straightforward way to upgrade, it is the least common, because most organizations prefer to take the opportunity to consolidate servers, perform hardware refreshes, or target some servers for virtualization rather than remaining physical. Side-by-side. A side-by-side upgrade involves installing SQL Server 2014 as a secondary instance on the same hardware and platform as SQL Server 2005. In this scenario, you can keep your old system running right up until you switch to the new version of the database. This minimizes downtime and allows for parallel testing. While this option might be used in dev-test scenarios, it is uncommon in production server upgrades. New instance installation. 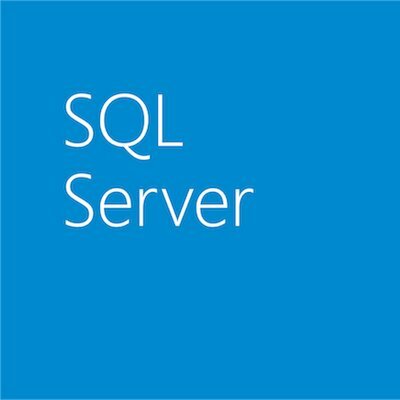 The most common and recommended upgrade strategy for SQL Server 2005 is to install SQL Server 2014 as a new instance using different hardware and new OS platform. Many organizations can benefit from acquiring new hardware or virtualizing their infrastructure as part of a SQL Server upgrade. This strategy, like side-by-side upgrade, allows for parallel side-by-side testing, and also renders your organization especially immune to any kind of downtime during the upgrade process. In addition, installing a new instance allows organizations to upgrade from 32-bit to 64-bit platforms and provides the most flexibility for taking advantage of the new features in SQL Server 2014. Regardless of which strategy you choose, it’s a good idea to tackle any database upgrade methodically so you can respond along the way as aspects of the project unfold — especially if your database systems are large and complex. Plan thoughtfully to avoid unnecessary time and resource costs. You can choose any process framework for running your upgrade — Microsoft Operations Framework (MOF), Prince2, ITIL, SixSigma, etc. What’s important is that you identify one that works for your individual environment and stick with it. Know that most likely you will have to revisit earlier stages in the process and potentially need to reshape your plan as the migration and upgrade progresses. You may even need to revise your initial scope if you discover additional downstream systems. Larger upgrade projects can take six to 12 months to execute, so the time to begin planning is now. Mitigate any concerns about business interruptions and achieve a faster, highly available system at the end of the upgrade process. To learn more about SQL Server 2005 Upgrades, register for our monthly webinar.